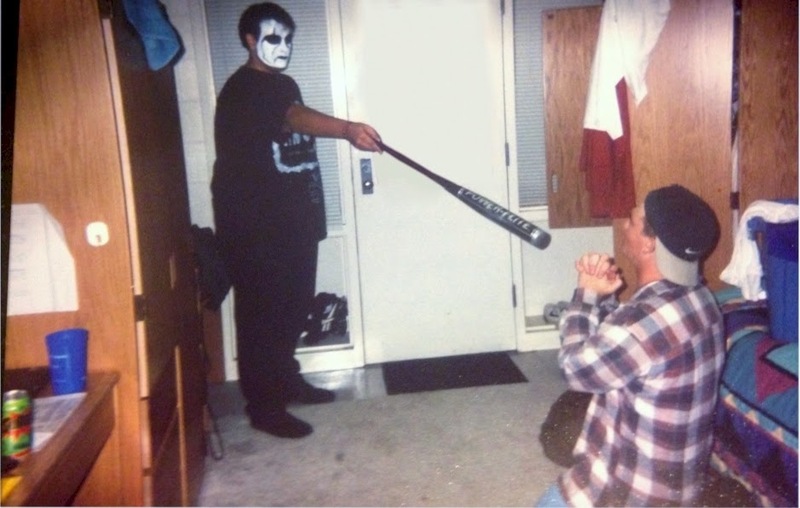 That's me as Sting "intimidating" Drew. I'm not a cosplayer. I haven't really even dressed up for Halloween all that much. Of the times I have dressed up, my favorite is probably Halloween 1997. 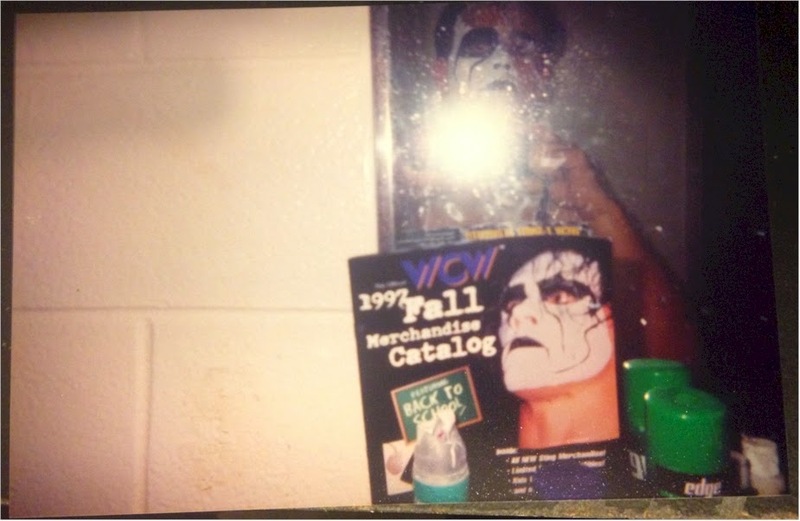 That year, I made an nWo t-shirt, painted my face like the WCW superstar Sting and grabbed a baseball bat, and I had a great Sting costume. Me applying the paint and my reference.